Jessica Pitt, Executive Director of HealthPATH, has held leadership roles in the nonprofit, philanthropic, and public sectors for over 20 years. She has worked at the intersection of workforce development, education, and economic development with a focus on fostering collaborative, cross-sector partnerships to address challenging social and economic problems. Jessica joined Alameda Health System in 2015 as the founding Executive Director of HealthPATH. 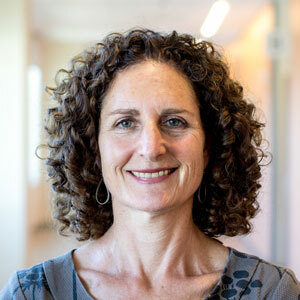 Jessica’s extensive experience includes serving as the Director of the Bay Area Workforce Funding Collaborative at The San Francisco Foundation where she distributed over $4 million in grants to support innovative workforce development programs throughout the Bay Area. She also led a regional workforce development initiative in the East Bay that brought together industry leaders, educators, and community leaders to address shared workforce, training, and economic development needs. Jessica holds a Ph.D. in Urban and Regional Planning from Cornell University and a BA from Wesleyan University.